How to Use Missinglettr - Can I add additional posts to my schedule? All Categories ​>​ Getting started ​>​ Can I add additional posts to my schedule? The Calendar view allows you to add any number of posts and schedule them to your social accounts. 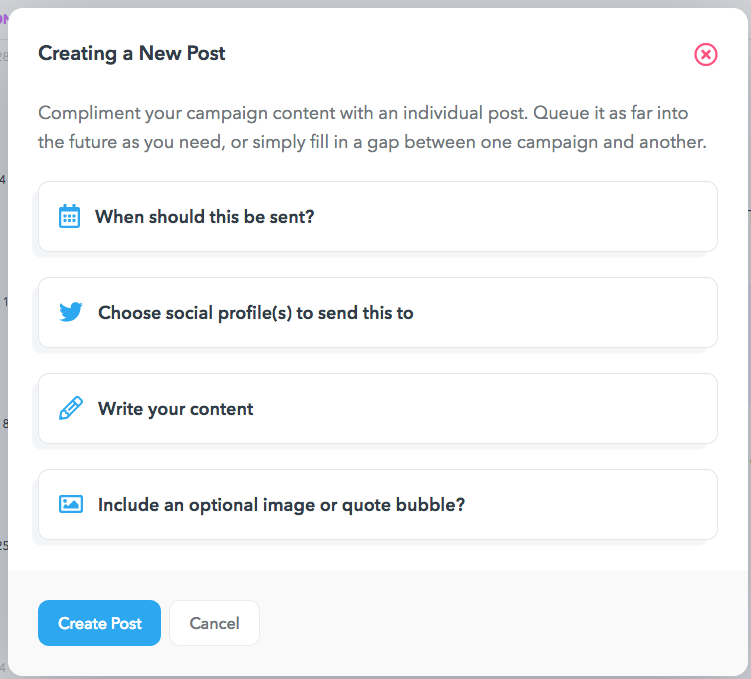 All you need to do is go to the "Calendar" tab on your dashboard, and click the "Create new post" button. After you fill it in and you're happy with the result, click the red "Create Post" button and the post will appear in your schedule.